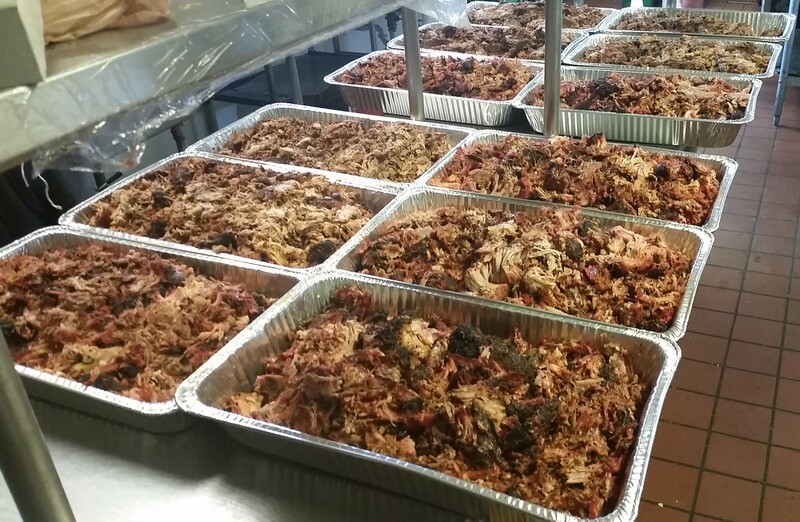 Our cooks specialize in BBQ and it shows in his award winning selection. Items on this menu are priced per person for 100 or more. Call us for more detailed pricing for smaller groups. All items include your choice of three (3) sides. 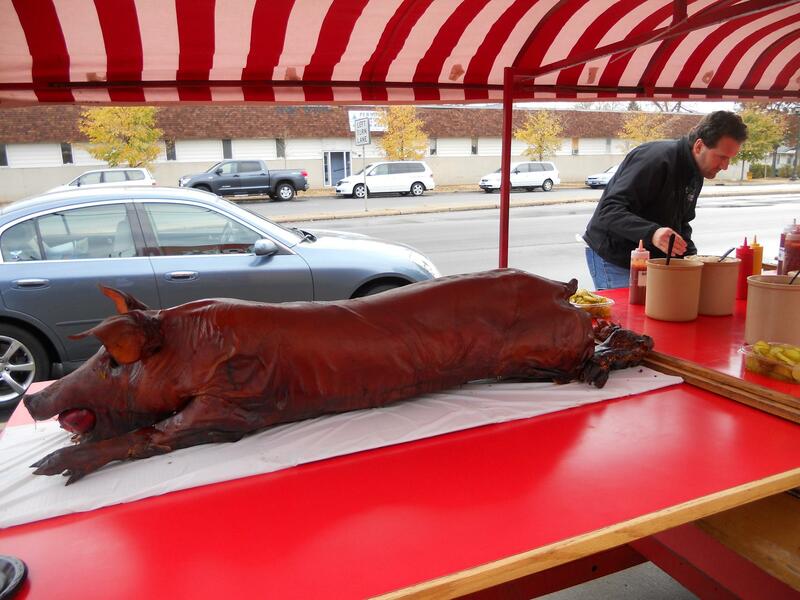 Our catered BBQ service is provided using our unique BBQ trailer shown on our home page. Want more than three options for your feast? Just let us know. Extra items are available for an additional charge. Beverages are also available from our beverage menu. All items include disposable dinnerware (we use the heavy duty stuff!) along with platters and serving pieces. We cook over quality charcoal. 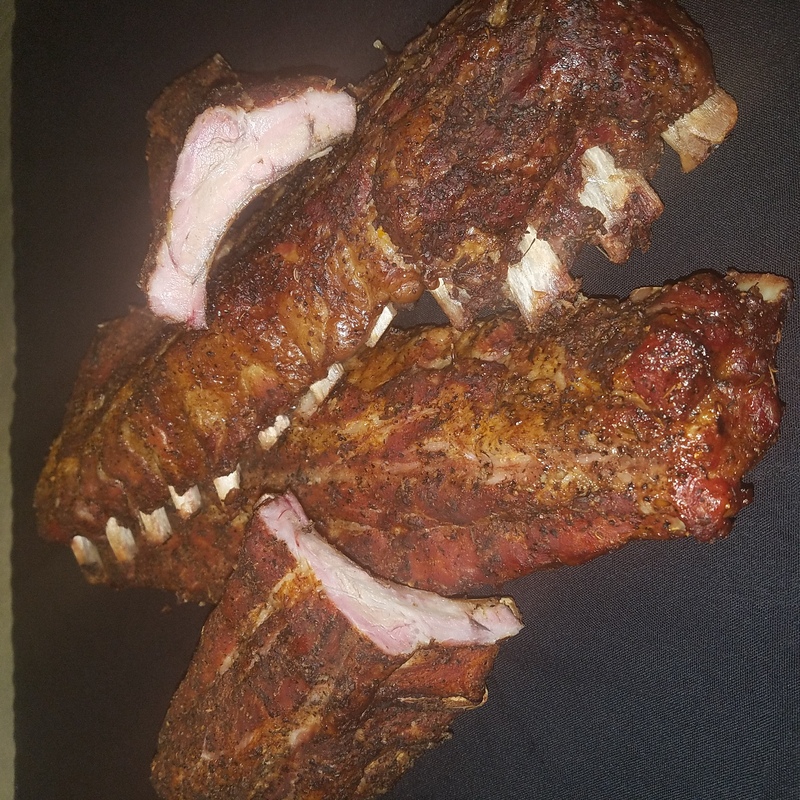 Slow-w-w smoked items will be cooked with apple and hickory or cherry wood and our BBQ sauce is our special homemade recipe. We clean up everything we bring! Adjustment are available by prior arrangement. Pickups are also negotiable. Catered Party-site – minimum menu charge of $600.00. All items include one hour of service from agreed service time. Each additional hour or portion there of will be billed at $30.00 per employee. All prices are subject to Minnesota sales tax and 15% gratuity. The whole pig! It's a real showpiece with buns and condiments. This USDA Choice beef is chef carved at the table and served with bun and condiments. Meaty and tender large portions lightly sauced with extra on the side. 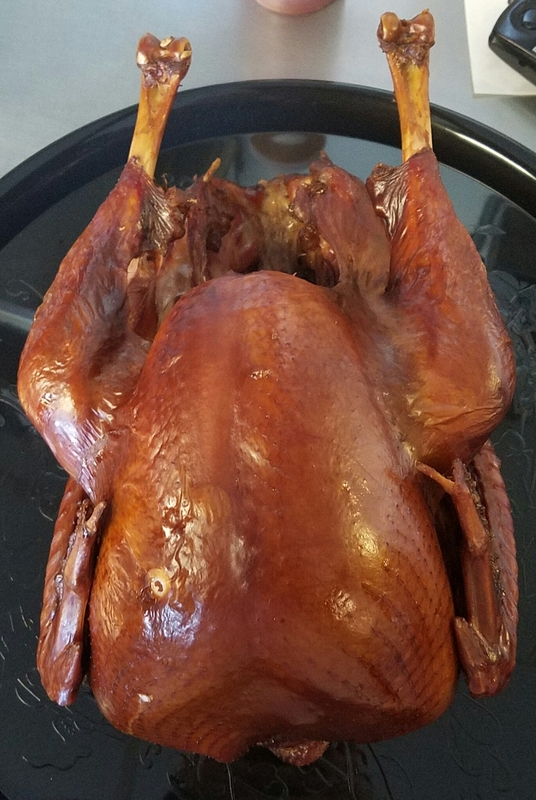 Slow-w-w smoked juicy and tender served with buns and BBQ sauce. Hand cut close trim 8-10 oz choice sirloins. Market price. Call for details! 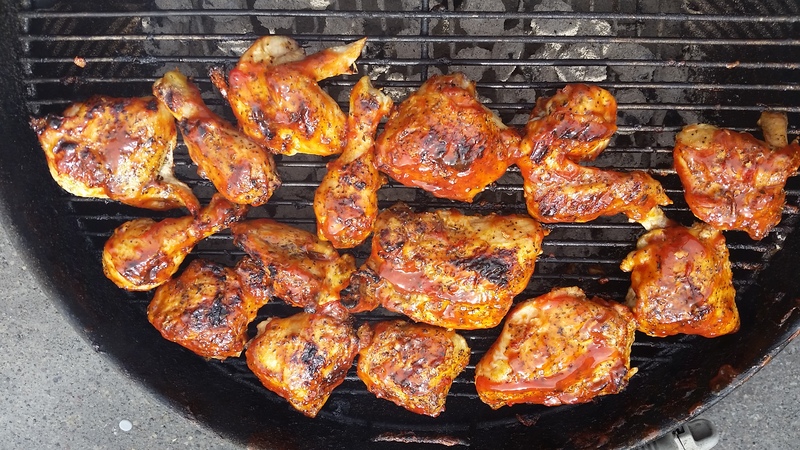 8 cut chicken with homemade bbq sauce. Sirloin beef tips and chicken breasts marinated with fresh vegetables. Burgers, brats, and chicken breasts.